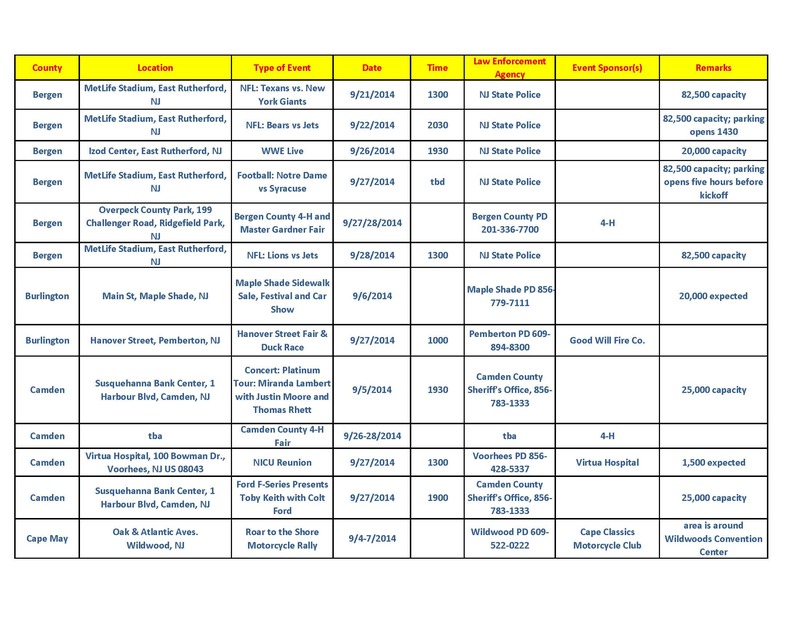 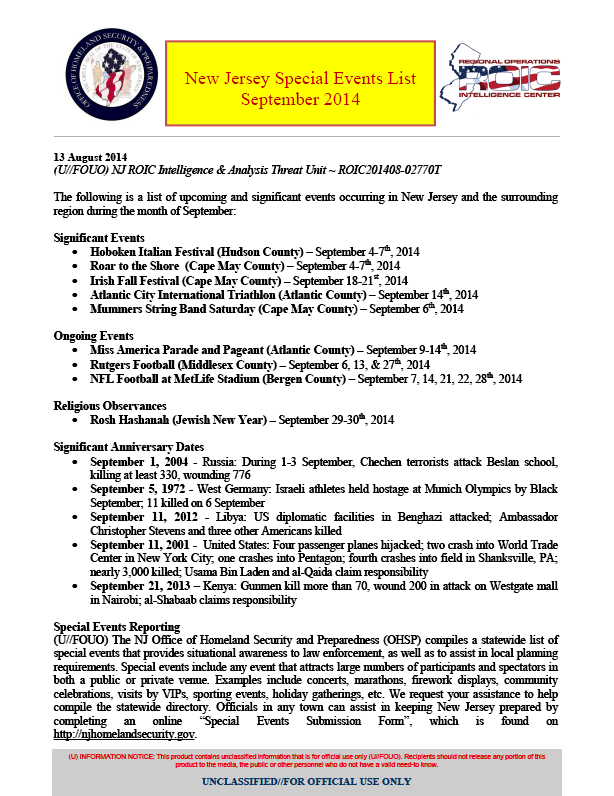 (U//FOUO) The NJ Office of Homeland Security and Preparedness (OHSP) compiles a statewide list of special events that provides situational awareness to law enforcement, as well as to assist in local planning requirements. 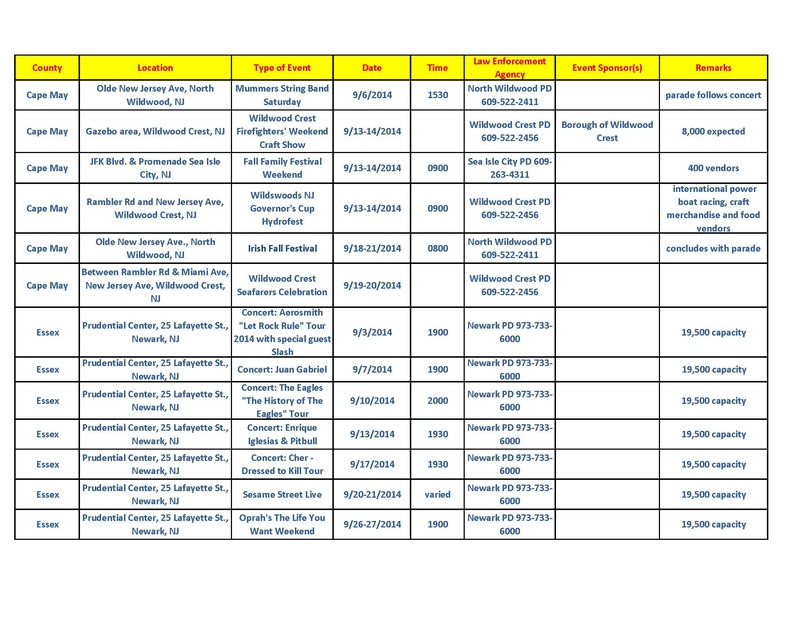 Special events include any event that attracts large numbers of participants and spectators in both a public or private venue. Examples include concerts, marathons, firework displays, community celebrations, visits by VIPs, sporting events, holiday gatherings, etc. 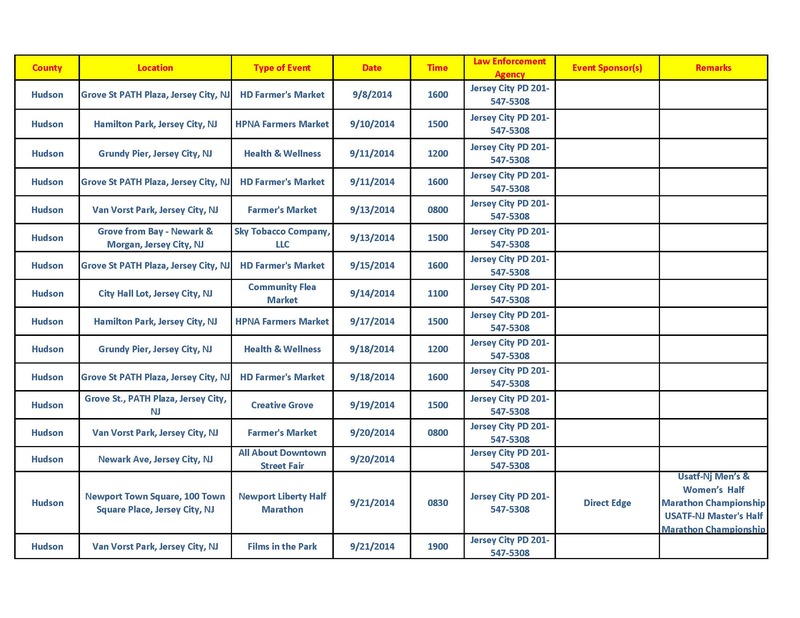 We request your assistance to help compile the statewide directory. 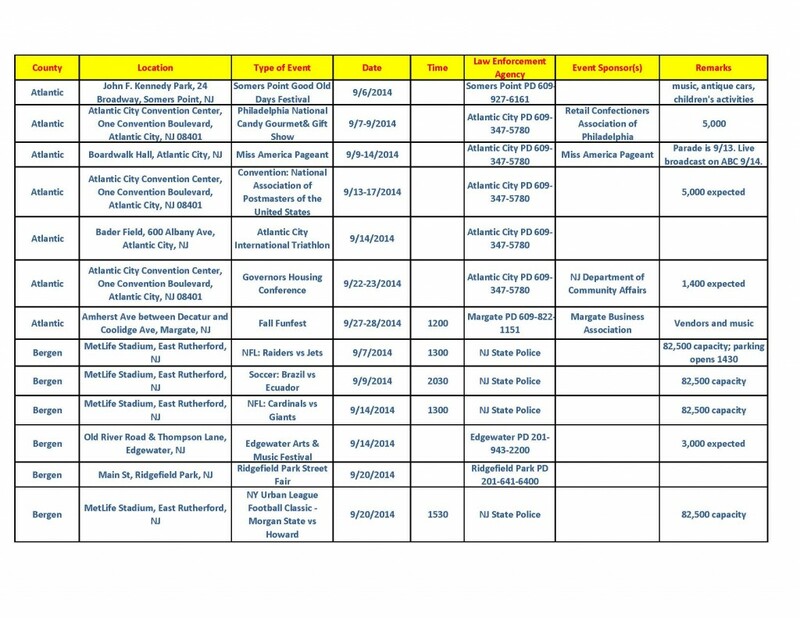 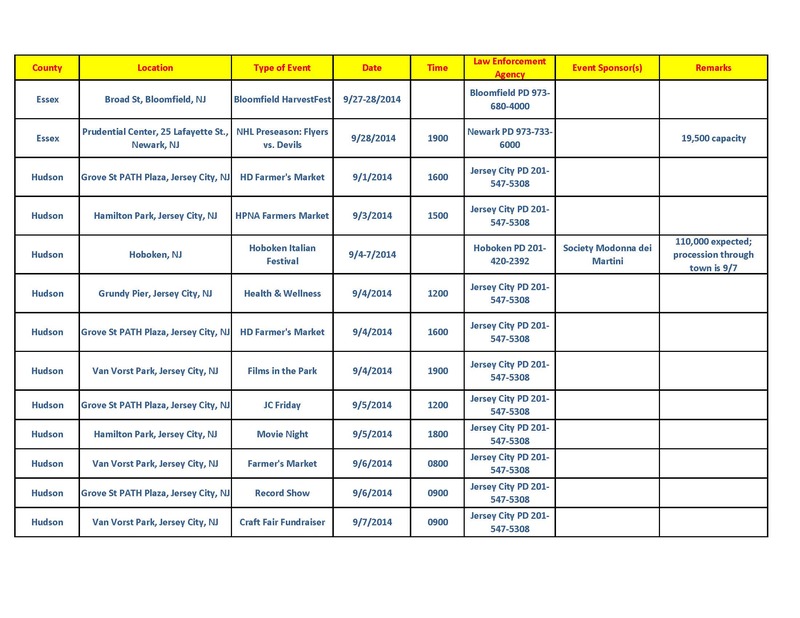 Officials in any town can assist in keeping New Jersey prepared by completing an online “Special Events Submission Form”, which is found on http://njhomelandsecurity.gov.